From lesson 1 and 2, you now know a little about what PHP is, and you've installed (or have access to) a server. Now we are ready to begin making our first PHP page. We keep it simple and easy, but after you have gone through this lesson, you will understand much more about what PHP is and what you can do with it. You already know what text and HTML tags are. So let's look a little more at PHP scripts. 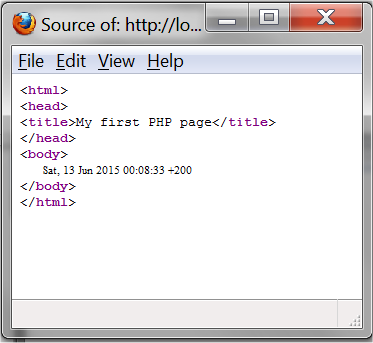 PHP Official Website has issued detailed documentation for PHP. Throughout the tutorial, there will be many links to the documentation. The goal is that you become accustomed to looking up and finding answers to your questions. PHP is so extensive that you can't to learn all facets in this tutorial. But PHP is not difficult! On the contrary, PHP is often very similar to plain English. 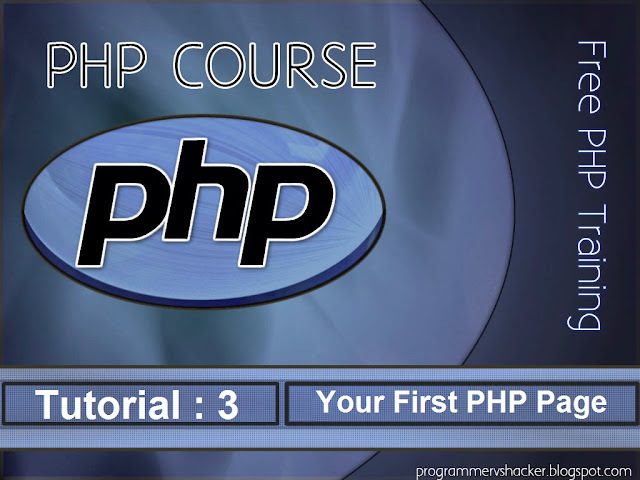 Let's get started with your first PHP page. If you use XAMPP (see lesson 2), the path for the root is "c:\xampp\htdocs\page.php" on your computer (which is now a server). 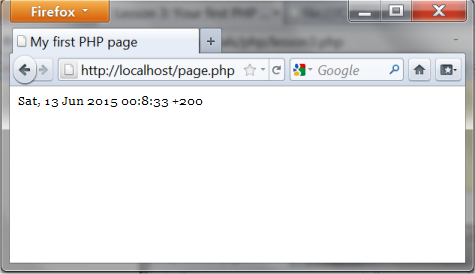 As you probably remember from lesson 1, PHP is all about writing commands to a server. So let's write a command to the server. The PHP codes are gone! As you may remember from lesson 1, it is only the server that can see the PHP codes - the client (the browser) only sees the result! Let's look at what happened. We asked the server to write <h1> Hello World!</h1>. In a more technical language, one would say that we used the string function echo to write a specified string to the client where the semicolon ends the command. But do not worry! 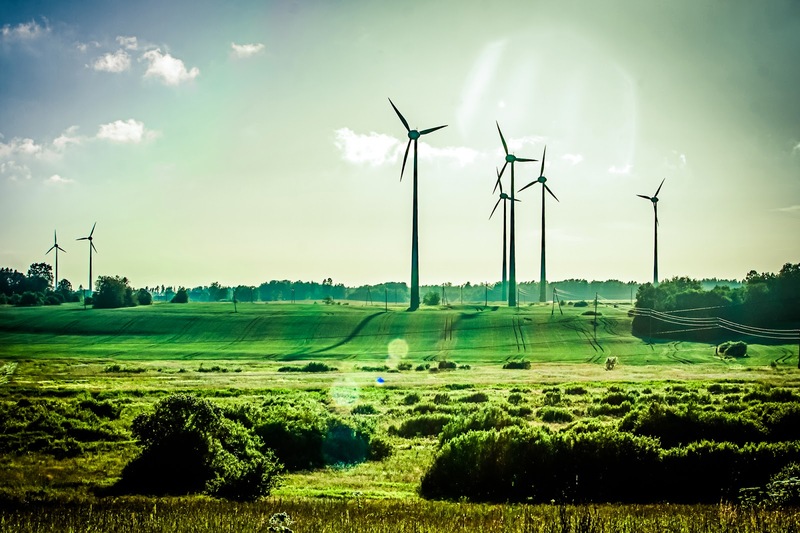 In this tutorial, we try to keep the technical language at a minimum. Our first example is obviously not particularly exciting. But just wait! From now on, it's only going to be more and more interesting. Let's look at another example. Now things are getting interesting, right? We make the server write the date and time when the PHP page is displayed. Note that if you refresh the page in the browser, a new time is written. 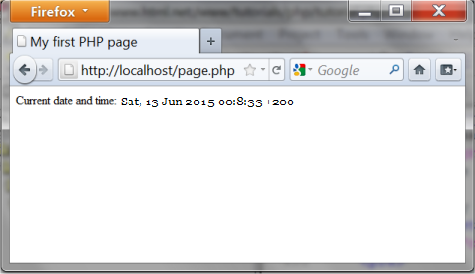 The server writes the current date and time each time the page is sent to a client. 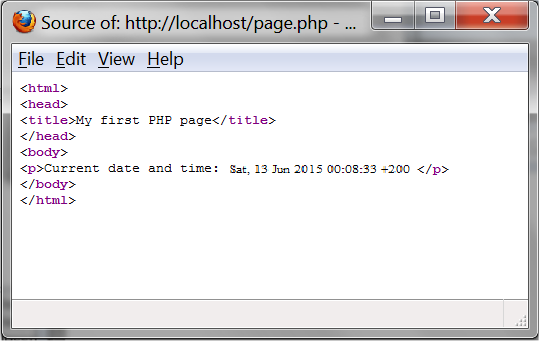 It is also important to note that the HTML code contains only the date - not the PHP codes. Therefore, the example is not affected by which browser is used. Actually, all functionalities that are made with server-side technologies always work in all browsers! And again, notice the semicolon after the code line. It is a separator and very important to include - otherwise the script won't work. In the example, we used date, which is a function that returns the current date and time on the server. In the next lesson, we will take a closer look at the date function and the different formats for date and time. So stay tuned.